These photographs detail some obvious problems that require renovation and equipment upgrade to enable Manistique High School to meet the demands of a 21st century education with the appropriate facilities. 26 years of operation has taken its toll, from everything. In some areas, facility renewal is necessary, as the original equipment is almost worn out. 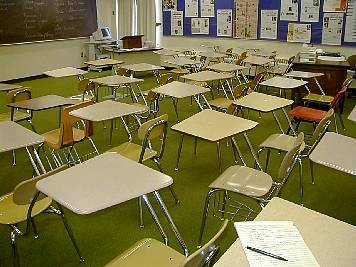 In other areas, new equipment is required to meet new education demands. 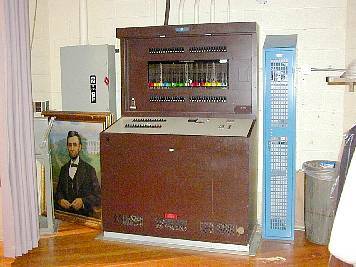 The Computer Aided Design lab. The Pentium 3 666Mhz computers do the job, now. They will not. in the near future. The equipment must keep up with the advances in the discipline. 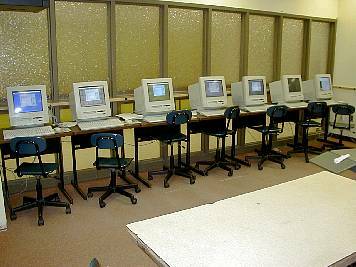 Part of the "Apple" computer lab, showing the cramped and spartan style, typical of the other computer labs. No grand and wasteful style, here. The exposed wiring and computer equipment results in recurring cable and equipment damage, and is a possible source of student injury as students come and go, catching limbs, and back packs, along the way. The appropriate "teen" proof furniture is a significant investment for all computer stations, but there is no funding, yet. A number of classes, including this English class students that study here, have virtually no access to computers. The one shown, typical of many classes, is more of an administrative and teaching tool for teachers, than an education tool for students. 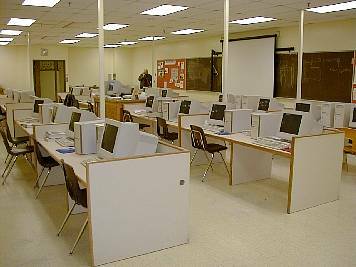 Virtually 100% of the time of the computer labs is required by more computer intensive courses, such as accounting, computer aided design, business technology, etc. 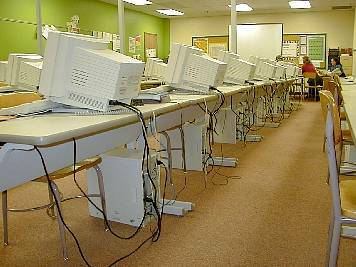 One of 3 high school computer labs, most of which was paid for by grant money secured by one industrious person, Mary Hook. 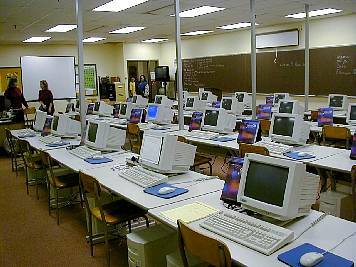 This type of technology deployment is required in the middle schools but the obsolete buildings need significant renovation and expansion of rooms, power and data wiring, and environmental control equipment, before such equipment can be installed. Drywall for a public institution's walls? The mistake was made and the consequences must be lived with. 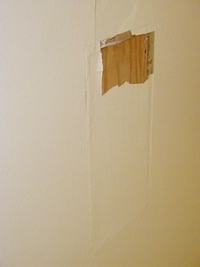 Constant patching, or a new surface that is more appropriate to corral rambunctious teenagers? 26 years of kids dropping everything from cannon balls to P B and J sandwiches have not been kind to the floor tiles in front of the lockers. 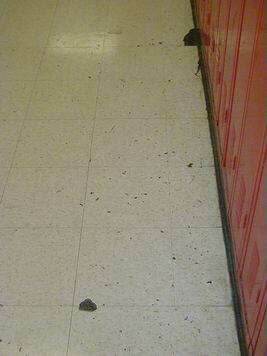 The school still works, but it helps give the hallways a shopworn look, as do the patched and defaced walls. This unit, that controls the stage lighting is now 30 percent functional. No parts are available, as the manufacturer went out of business soon after the unit was installed. The lowest cost is not necessarily the best buy. It needs to be replaced.